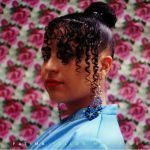 Review: Eglo come through with Yellow Memories, the long awaited debut album from Queen bee Fatima! First popping up on the label run by Alex Nut and Floating Points with a vocal contribution to Kleer by FunkinEven, Fatima's been an undeniably soulful presence on Eglo ever since and they've been teasing fans about the idea of a long player from the singer for what seems lie an aeon! Twelve tracks deep, Yellow Memories features button pushing credits from Eglo mainstays Floating Points and fLako along with Sound Signature boss man Theo Parrish, Sa Ra Creative Partners producer Computer Jay, Stones Throw artist (and Madlib's younger brother) Oh No and the wonderfully named Scoop DeVille. Fatima fans will recognise a few of the tracks on the album, with "Techno" and "Circle" issued last summer whilst the Family 12? released earlier this year featured the fLako produced cuts "La Neta" and "Family". Sink in and soak it up! 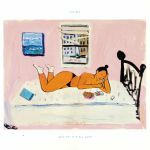 Review: Fatima Bramme Sey has delivered some fine music over the years, but there's always been a feeling that there's still a genuinely killer album in her that's yet to come out. "And Yet It's All Love", her sophomore set following 2014 debut "Yellow Memories', could well be that set. Featuring 14 brilliant songs that variously touch on summery, sunshine-soaked soul-jazz, head-nodding, R&B-influenced modern soul, Afro-reggae (see the brilliant "Westside"), synth-laden goodness ("Attention Span of a Cookie", "I See Faces"), string-laden spoken word (Roc Marciano hook-up "Take It All"), piano-driven bliss ("Movie") and atmospheric soul-scapes (mournful "Note To Self"), it's undeniably a brilliant piece of work. It's the sort of album that could turn her into a star - and that accolade would be thoroughly deserved.